The Modfather will headline the seventh and final night of the gigs at London's Royal Albert Hall on March 25, which Noel Gallagher is curating. "I'm looking forward to getting on stage for the final night of Teenage Cancer Trust at The Royal Albert Hall. I've always supported the charity and have seen first-hand how hard they work and what a huge difference it makes to the kids. When Noel asked me to headline I didn't hesitate," he said. Kasabian, Primal Scream, Rizzle Kicks, Labrinth and Ryan Adams are among the performers at the shows, which run from March 19, while funnymen Russell Brand and Noel Fielding will also take to the stage to raise money for the charity. Beth Orton is to support Ryan on the opening night, and Super Furry Animals frontman Gruff Rhys will open for Noel's show, which will include appearances from special guests Damon Albarn and Graham Coxon. Noel, who hand-picked the line-up, said: "Teenage Cancer Trust do a brilliant job, and I've always been more than pleased to lend my support over the years. "It's also now a charity that is very close to the hearts and minds of dozens of acts in the world of music. It's an honour to have the task of putting together the bills for this year's series of concerts at The Royal Albert Hall." 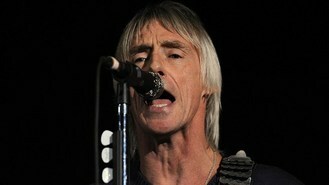 Tickets for Paul Weller go on sale on February 1 at 9am.